PyCon India is one of the best experiences I have had in recent past. PyCon India this year was held in New Delhi from 23rd September to 25th September, 2016. Three days filled with learning, interaction, meeting like minded people; couldn't have asked for anything more. The entire was one of python and development and I loved it. The first day was special. 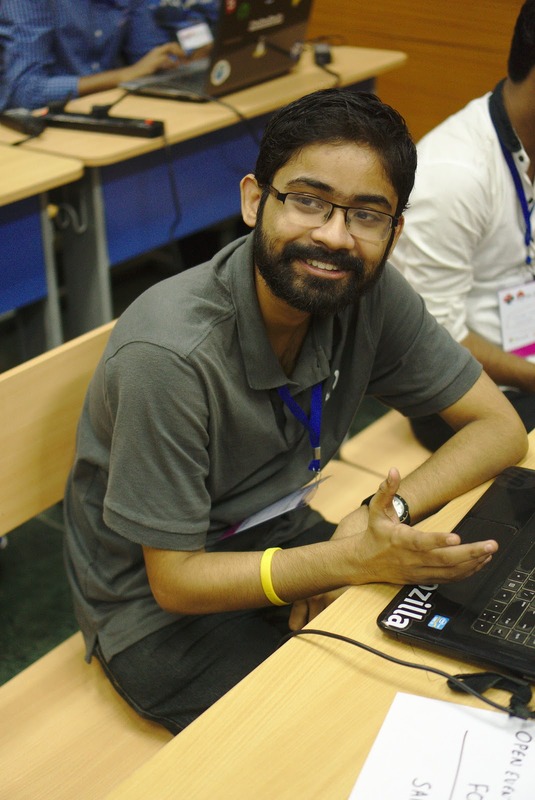 I was conducting a devsprint on my GSoC project, Open Event Organizer Server under FOSSASIA. To represent the project at such a huge platform was a real great honor for me. The devsprint was a real good experience. Pitched about the project to an audience which comprised of people from many different organisations who were much more knowledgeable in Python than I am. I got to meet a few developers, helped them setup the project and walked them through the various components of the project, told them about In the Heat of Code, a contest by FOSSASIA which involved my project. To see so many eager faces willing to contribute was such a great experience. Also, got to meet a lot of great python developers and discuss my project with them. All in all an experience to remember. 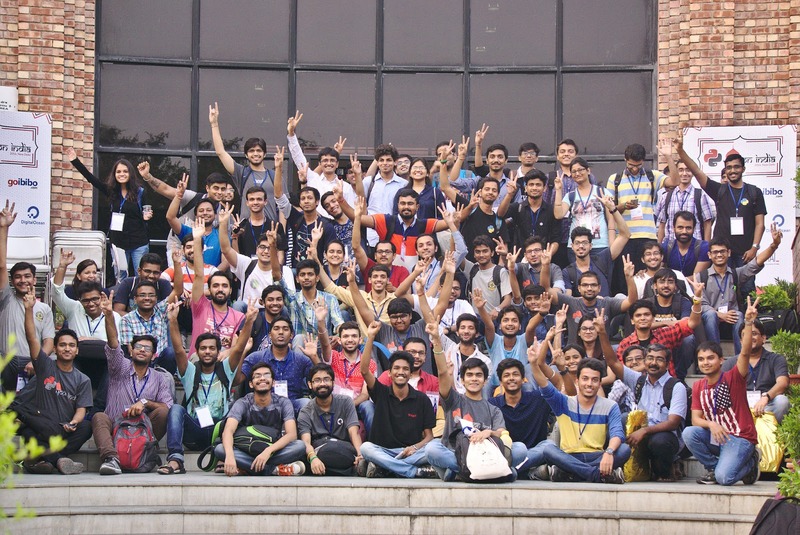 Apart from the DevSprint, met some fellow GSoCers, organisation heads and pythonistas, had an awesome lunch and also had the experience of volunteering. The day ended with a volunteers assembly where plans of the next 2 days were discussed. The first day had pretty much established that the next 2 days are going to be awesome. 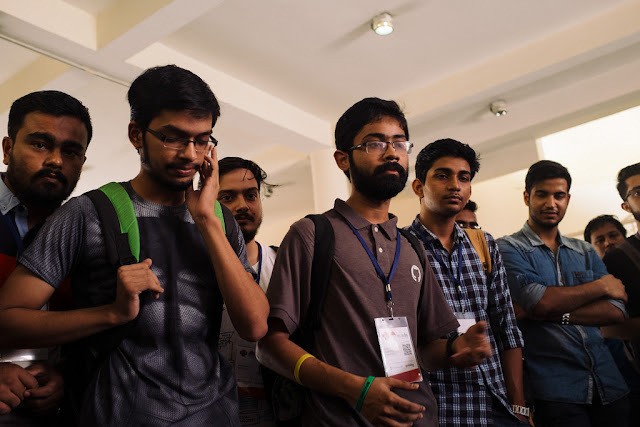 After the closure, had the opportunity of going out with Sayan Chowdhury who is associated with both FOSSASIA and Fedora Projects and other Fedora Project contributors. It was a great meetup between the people of 2 organisations and led to discussions about various things. Later we went together to grab some food together and enjoy ourselves. After that, it was time to call the day off. Woke up early in the morning all excited. This was a big day. First chance of volunteering in a PyCon, meeting some awesome people and pythonistas. Who wouldn't be excited, right? So, went to JNU Convention Center, quickly completed my breakfast and was there in Audi 2 ready for the awaiting experience to blow me away. Meanwhile, booths of RedHat, Digital Ocean, goibibo, JetBrains, ZeOmega and IAMAI. I roamed about in the booths meeting representatives of each organisations, knowing about what and how they work on various things - from containers to cloud services to IDE, it was simply a great learning experience. Plus, got goodies from the booths. So that was awesome as well. After that it was time for the keynote by Baishampayan Ghose or better known as BG which was followed by some real awesome talks - some of them I understood, while others interested me to learn new things. Apart from the talks, attended the open space and lightning talks as well while also meeting people like Kushal Das whom I have intended to meet for quite some time. At the end of the day, it was time for volunteer speaker party at Bar-b-Que Nation. The delicious food mixed with discussions about open source and development in various organisations, one of the best parties in my life. Everyone was a little sad because it was the last day but at the same time it was time to make most out of this day. So, my aim as well was to meet, connect and interact with as many people as I can and also attend the talks that interested me. I roamed about trying to gather as much information as I can. It was all so overwhelming. Then we had a staircase DGPLUG meet, where Kushal Das talked about how open source inspires us all and why one should at all do open source. He was surrounded by many students who were new to this entire world, and his talk was so inspiring I felt proud to be a part of open source community. The day ended with a vote of thanks. Group photos were clicked, promises were made to meet again, last time discussions and sharing of contact details. Though it was the last day, it actually marked a beginning for me - a beginning to be part of such conferences, to meet awesome new people. So now really looking forward to any developer conference and being a part of it.